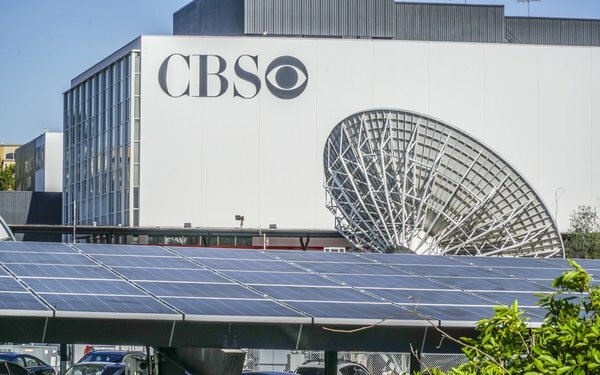 Almost two weeks after its Nielsen deal expired, CBS Corp. and the media-measurement company announced a renewal of its agreement for national, digital and local audience measurement. The deal covers measurement for CBS Television Network, CBS Television Distribution, Showtime Networks, Smithsonian, Pop, CBS Sports Network and CBS’ 27 owned-and-operated local television stations. Media executives estimate the previous deal was valued at $100 million per year for Nielsen. Just after the contract expired on December 31, CBS said Nielsen was using its “market power” to bundle services and raise prices. At the same time, CBS threatened to use competitor Comscore to fill in the gaps. 3 comments about "CBS Strikes Deal With Nielsen, Ending 2-Week Impasse". Ed Papazian from Media Dynamics Inc, January 12, 2019 at 3:10 p.m. Surprise, surprise. I guess that the dreamers who were predicting the end of Nielsen in 2019 and the adoption of alternative rating methods---based on this relatively minor but blown out of proportion pricing squabble---are in a state of shock. Nicholas Schiavone from Nicholas P. Schiavone, LLC, January 12, 2019 at 4:44 p.m.
Ed Papazian has been correct from the start on this matter, if you've had the the good fortune to read his commentary. As the last Chairman of CONTAM (Committee on Nationwide Television Audience Measurement), a group mandated by Congress along with the EMRC (Electronic Media Rating Rating Council) after the Harris Hearingsin the early 60's, I find it odd that people still believe that "the networks" will solve the measurement and business problem. For starters, the diagnosis of the last 20 years has been incorrect. Wayne Friedman of MediaPost would have us believe that "the point is (that) the future of Nielsen’s legacy “currency,” (is that it is) a currency flawed, according to many, with rapidly changing TV-video consumption." Change is constant. The question is "Is change being effectively addressed?" And by way of perspective, TV remains part of the entity known as "show business." Please name one business in the history of man- (or woman-) kind that has not been been dependent on a scale of some kind to establish an appropriate quid pro quo. Thirty years ago, the broadcast networks experienced the need to examine carefully the national TV audiences measurements available at the time...Nielsen and AGB. Both had just introduced People Meters and their numbers generated grave concerns. Their numbers would determine their clients' revenues. Under the auspices of CONTAM, the broadcast networks together retained the finest media research company in the US, SRI (Statistical Research, Inc.), to assess the quality of these 2 TV audience measurement companies. After spending approximately one million dollars, CONTAM found US TV audience measurement seriously wanting. However, the disappointing assessment came with recommendations for critical and immediate improvement. To succeed, research companies needed to show 1) a commitment to defined procedures and quality control, 2) a commitment to methodological research and 3) a commitment to client involvement. There are some responsibilities in life and in business that cannot be delegated. After 50 years of professional work, I have found that most business failures are caused by outsourcing essential obligations. That's too bad. The right way is more effective and more satisfying. Don Seaman from Ruby Red Advertising, January 14, 2019 at 12:35 p.m. Imagine the headlines, Twitter trolling and postulating had there not been any reported ratings for the Super Bowl this year.